Our primary hope with our Open Door Kids is to partner with parents in cultivating young Jesus-followers into a lifestyle of engaged discipleship and active participation in God's unfolding kingdom. Our approach to the spiritual formation of our kids is the same as our approach to our adults: experiential, narrative, and relational. Facilitated weekly by our ODK team, our kids' experience is a creative, multi-sensory, hands-on journey through the Story of God. ODK strives to provide kids and families with handholds and tools like scripture, prayer, service and community to anchor and propel them as they daily walk in the way of Jesus. Beyond our Sunday Gatherings, we want our kids to know they are an important part of God's story and have a role to play in weaving heaven and earth together again for the good of the world. Care for our babies and toddlers is available in the nursery, located by the Parish Hall, starting at 4:20pm. We have a paid staff to provide our littlest ones with childcare expertise and consistency. Our lead childcare giver, Cecelia Lin, has been with us for four years and guides our nursery kids with love. The focus in the Tru Class is being rooted in scripture and the kids’ identity as followers of Jesus. We do that through learning about scripture with stories and then responding in worship with art, music, activities and practices. 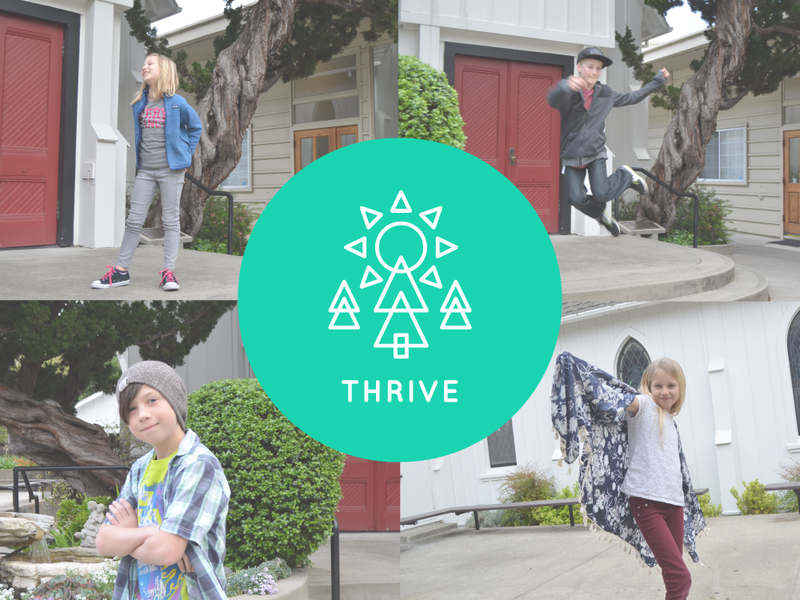 Thrive develops tools and practices that will serve kids their whole lives as they strive to follow in the way of Jesus. We use scriptures, in-depth Bible studies, practices and worship. The Thrive Class also serves and leads the Tru Class by serving snacks, engaging in guided conversations, and leading crafts and musical worship.